A North Branch High School Alumni Association was first begun by Mrs. G.M. Orwall in the 1920s. It was re-activated in it's present form in 1990, as a Non-profit public charity and is exempt from Federal income tax under section 501 (c) (3). 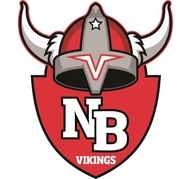 All donor contributions to the NBHS Alumni Association are tax deductible. The purpose of Association is to "establish scholarships for graduating North Branch Hish School seniors, promote communication for all alumni through the annual Newsletter, to create pride in our high school from its graduates, and to develop continuity between students and alumni." Our annual Newsletter hi-lights interesting stories and photos from the past and lists notes about and messages from our paid Alumni Association members. Recipients of our Association scholarships are featured, and some notes about past recipients are posted. Donations for scholarships and memorials to honor deceased alumni are acknowledged. Photos of class reunions from the year are a popular feature. Our mailing list includes approximately 3,400 alumni names and addresses. We invite ALL past graduates of North Branch High School to become paid members of the Alumni Association. The membership fee is $10 per year and helps fund printing and postage expenses of the Newsletter, provides funding for scholarships and supports other projects of the Alumni Association. We do not receive nor do we solicit any financial help from local businesses or from the school district. We urge you to print out the registration form available on this website and become a paid member of the Alumni Association. In 2014 we established the sponsorship of a "Lifetime Achievement Hall of Fame Award". The recipients of the award have a plaque featuring their achievements permanently displayed near the North Branch High School auditorium. Please visit the Hall of Fame display while attending indoor sporting events at the High School. With the advent of this our new website and Facebook, we are reaching out to more recent graduates. Our goal is to reach as many North Branch High School graduates as possible. If you did not receive a printed copy of our annual Newsletter, please read our latest editions online in this website. Then take the time to complete a registration form and mail to us, along with your annual membership fee. This will help assure the continuation of our scholarships, Newsletter communications and future projects.